The description just touches on it, but the location can�t be beat. 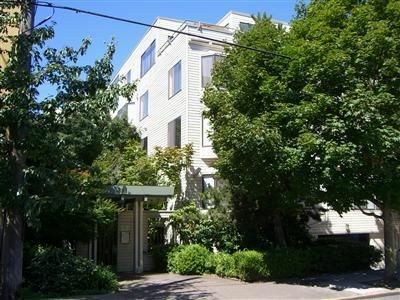 You�re just a couple blocks from Broadway and a few blocks from Pine, meaning fantastic access to the red hot nightlife, stores, QFC, Starbucks, the Egyptian, buses, you name it� with 24/7 covered parking on the hill! And yet, just those couple blocks is enough to keep you out of the way from the craziness when you need some quiet time at home. Sit on the balcony and overlook the city, imagine, reflect� isn�t that nice? And I haven�t even started on the interior� yes, it has a Murphy bed. We all know, of course, that a Murphy bed is a bed that actually transforms into a wall. This is truly a home for fans of Transformers and Michael Bay alike." It also makes a pretty good dance floor when the bed is up. Other notable things are that I bought a video game system, my first new system since my Nintendo 64 back in... '98ish? It is a Wii. I love it. I fully understand that this officially moves me from 'gamer' to 'casual gamer', but that's fine, I've only bought three video games since 2000 and accept that. It's so fun... Alice and I are suffering from worn and weary shoulders, but as we all know, that just means we need to play more to get them in shape! I'm also recovering from a bout of shrimpinitus... a terrible disease where you first accidentally poke a hole in your mouth with a deep-friend shrimp leg, then stuff raw sushi into it, then suffer remarkable fatigue, weakness, thirst, headaches, and more for 2.5 weeks. Kinda sucked. So watch out for that. The Shrimp's Revenge! After about two weeks I did discover that apparently the cure is drinking Full Sail Session Lager, courtesy of Rachel's Birthday BBQ and Croquet Extravaganza last weekend. I'm going to need to stock up on that for winter's flu season!